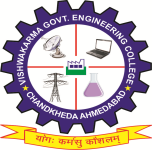 The Placement Cell in Vishwakarma Government Engineering College has been operational, with the dual objective of imparting preparatory coaching to students and listening with the industry to arrange campus selections. The cell trains the students for facing the personal interviews successfully and supports in enhancing their interpersonal skills as well as communication skills. The cell is headed by a Professor, nominated by the Principal and supported by the departmental coordinators. This is a student-supported activity. Thanks to the untiring efforts of successive Placement Officers and also to the boom in the software industry, quite a good number of graduates passing out of the college could get excellent placement in their final year itself. 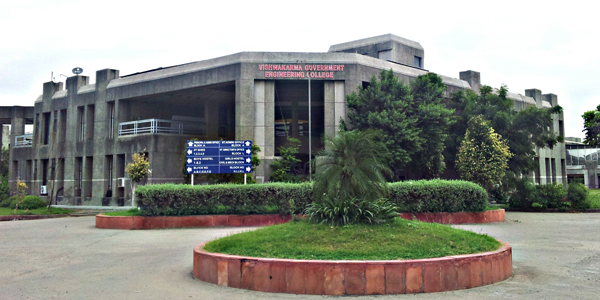 TCS, Thomson Rueter, iGate, TechMahindra are some of the leading software companies visiting the campus regularly. Some other companies, both in public and private sector, like L &T Engineering, Essar picked up students of this college in campus selections in the past. The placement cell is doing its best to project the institute and to arrange campus selections.